The LAMP is a New York-based nonprofit organization teaching people to comprehend, create and challenge media. The LAMP’s acclaimed Break-a-thon events are perfect introductions for youth about how, why and for whom media are made – and now you can host one on your own! Whether you host a Break-a-thon to take on Super Bowl commercials, music videos, political ads or something else, Break-a-thon in a Box has everything you need, including tips, sample in-kind donation forms, budgeting templates, calendars and more, all at no cost. Plus, we’re always here to help. Get started today! People who are interested just need to sign up and will receive their own Break-a-thon kit to get started. Check it out! 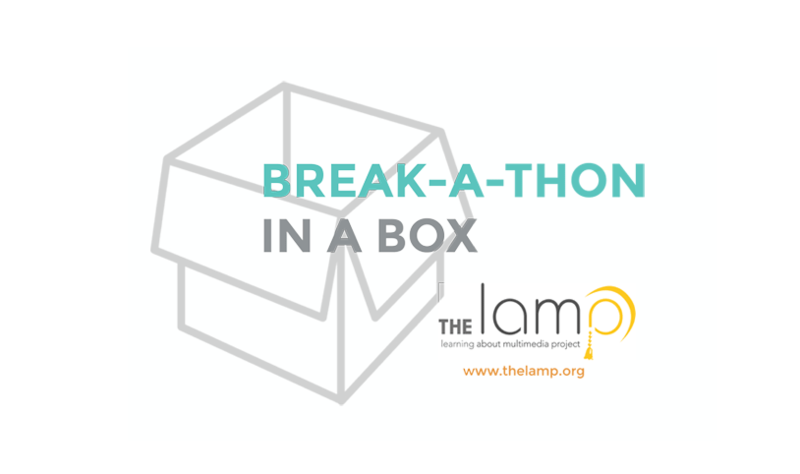 Visit www.thelamp.org/break-a-thon-in-a-box for all the info.